There’s a new book available which has compiled over 40 written pieces about, and interviews with Don. 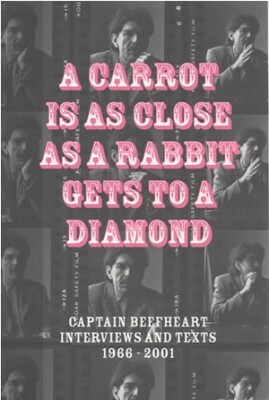 It’s called ‘A carrot is as close as a rabbit gets to a diamond’. In this online world it’s a refreshing retro artefact. This is clearly a lovingly assembled edition containing a strong dose of myth, magic and madness all delivered via archive interviews and journalistic pieces. The book itself is a high quality item and the anonymity of compiler and publisher allows the text to speak alone, which is a very nice touch. No problem with ordering to the UK from the Desert Island, thanks to these guys for distributing this gem. Most highly recommended for your reading pleasure.